I was weeding my flower bed and saw this out of the corner of my eye on my phlox. 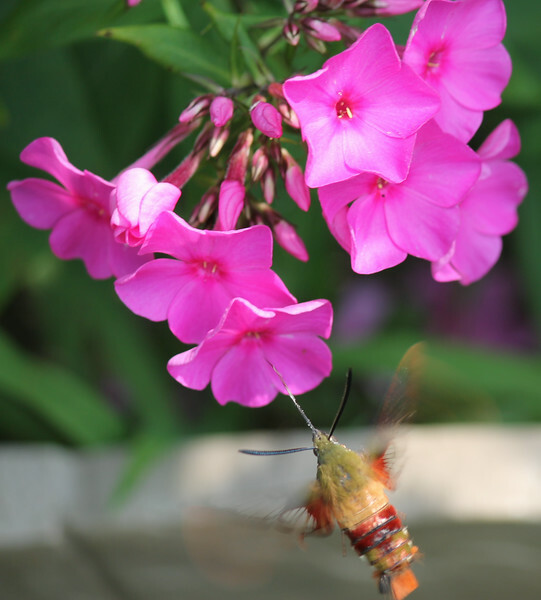 I thought it was a hummingbird but when I got a closer look I realized it was a hummingbird moth. I had never seen one before so it was pretty neat!